What did draining birdies, snagging line drives, tossing tight spirals, firing aces, sinking three-pointers and scissor kicks do for Andrew Copp’s NHL career? A lot more than he could have ever imagined. Copp was certainly a good student of each game. The son of a figure skating coach mom and a hockey coach dad, the Michigan native quickly became a standout on the ice. He also happened to be a major talent on the gridiron. A record-setting high school quarterback in his home state who caught the attention of several Division 1 NCAA schools, Copp’s football career came to a sudden halt after suffering a broken collarbone in his senior season, a year in which he still hadn’t decided to pursue a hockey or football career. “When that happened, I kind of knew that was probably the last play of my football career,” he recalled. But it would be the start of something special hockey-wise for Copp, who went on to play at the University of Michigan. Taken by Winnipeg in the fourth round (No. 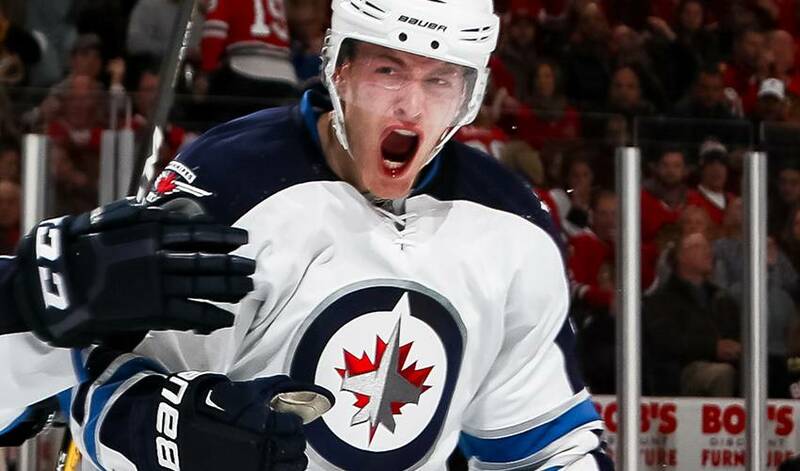 104) in the 2013 NHL Draft, he made his NHL debut when he suited up for the Jets for the final game of their 2014-15 season. He netted an assist for his first NHL point, won 12 of 18 faceoffs and finished Winnipeg's 5-1 win versus Calgary with four shots and a plus-2 rating. Copp, now almost 220 games into his NHL life, truly believes his past sporting experiences helped him get to hockey highest level. “When I was young, I always wanted to make myself the best athlete possible,” he recalled. “I wanted to do a lot of different things sports-wise, even to understand it from the training perspective and preparation. But it was also equally important to shape my character as a person being part of a team, being a leader and being a consistent contributor. I don’t think I’d be here if I hadn’t played football or the other sports. If Copp had the chance to take on two high-level athletes in their respective fields of expertise, who would he choose and why? “That’s a good one,” he said. “One that pops into my head as a quick runner-up would be to play tennis against Roger Federer. He’s just incredible.